Emirates Holidays has partnered up with the Asian Football Confederation (AFC) to become the official tour operator for the AFC Asian Cup UAE 2019. The 17th edition of the continent’s prestigious football tournament will take place in the United Arab Emirates between January 5, 2019 and February 1, 2019. Through the partnership, Emirates Holidays offers a broad range of excellent value packages to football fans traveling to Abu Dhabi, Al Ain, Dubai and Sharjah to support their teams. 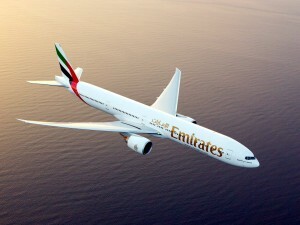 Each package includes match ticket(s), accommodation and return flights with Emirates Airline. 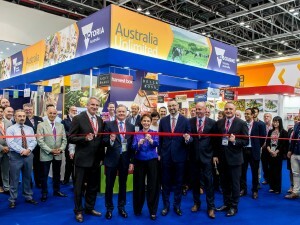 Robin Parry, Vice President, Emirates Holidays, said, “We are thrilled to become the official tour operator of the AFC Asian Cup UAE 2019. Starting from today, supporters can seamlessly book match ticket, flight and accommodation with Emirates Holidays and enjoy the excellent travel experience our award-winning airline and reputable hotel partners offer. We see exciting opportunities for the company in sport tourism and continue to seek ways to accommodate the growing demand. We look forward to welcoming our football fan customers in the UAE.” Dato’ Windsor John, General Secretary, Asian Football Confederation, said, “Asian football continues to make giant strides on the world stage and the remarkable growth and stature of the AFC Asian Cup exemplifies the undeniable progress of football in the Continent. Emirates have been a long-standing partner of the AFC and we would like to thank them for their firm belief in the development and ever-improving proposition of Asian football. Emirates has launched its new service to Auckland via Bali from June 14, 2018. 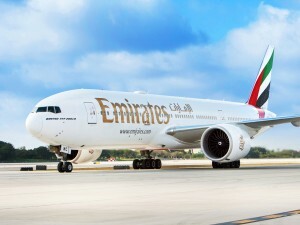 The new operations will offer global travellers a total of three daily services to New Zealand, complementing Emirates’ existing non-stop daily service between Dubai and Auckland. 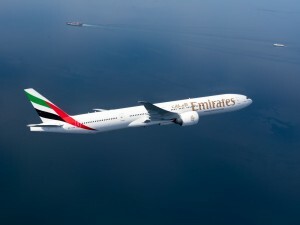 Emirates’ new Dubai-Bali-Auckland flight will provide the only year-round non-stop daily service between Auckland and Bali, giving passengers an opportunity to visit or stop over in one of the most popular islands in Indonesia. The airline will operate a 777-300ER on the route, offering eight seats in First, 42 seats in Business and 304 seats in Economy class, as well as 20 tonnes of belly-hold cargo capacity. Tim Clark, President, Emirates Airline, said, “We are confident that our year-round service between Auckland and Bali will be well received by our customers, not only in New Zealand and Indonesia, but also from our global network particularly from markets like the UK, Europe and the Middle East.” The southbound flight, EK 450, will depart Dubai at 06:55, arriving at Denpasar (Bali) at 20:20 local time, before flying on to Auckland at 22:00, arriving in New Zealand’s biggest city at 10:00, the following day. Northbound, the new service will depart Auckland as flight EK 451 at the convenient time of 12:40, arriving in Denpasar at 17:55 local time. It will depart Denpasar at 19:50, arriving in Dubai just after midnight at 00:45. 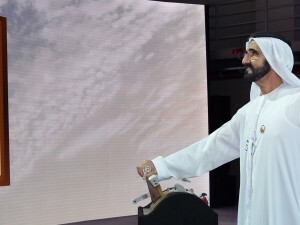 Sheikh Mohammed bin Rashid Al Maktoum, Vice President and Prime Minister of the UAE, Ruler of Dubai joined officials from Emirates airline and Boeing to witness the signing of a US$15.1 billion commitment to purchase 40 Boeing 787-10 Dreamliners. Emirates is already the world’s largest Boeing 777 operator and the airline will be first to receive the new 777X in 2020. 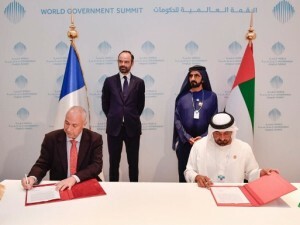 Sheikh Ahmed bin Saeed Al Maktoum, Chairman and Chief Executive, Emirates airline, said, “Emirates’ orders today will be delivered from 2022, taking the airline well into the 2030s. Some of these will be replacements so that we maintain a young and efficient fleet, and others will power our future network growth. Today’s announcement also speaks to our confidence in the future of aviation in the UAE and the region.” The 787-10 Dreamliner is the newest and longest member of the super-efficient 787 family. Boeing says it offers 10 per cent better fuel and emissions than competitive aircraft in the sector. 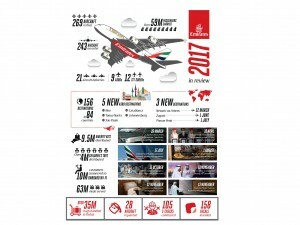 Emirates launched a $15 million promotion campaign to inspire travel and highlight the airline’s extensive network of global destinations including its home and hub, Dubai. The campaign highlights seamlessly transitions between key destinations and Emirates’ onboard features. The campaign is backed by the iconic soundtrack ‘Don’t stop me now’ by British rock band Queen. Boutros Boutros, Emirates’ Divisional Senior Vice President for Corporate Communications, Marketing and Brand, said: “Emirates and Dubai have always been inextricably linked. Each day, Emirates operates more than 500 flights that connect Dubai to the world, and the world through Dubai. Since day one, Emirates has proudly and actively promoted our hub. 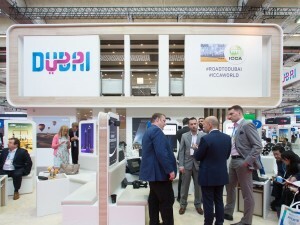 Dubai offers a great experience at our world-class airport, and the city has become a top global destination because it continually invests to bring new attractions and supporting infrastructure for international visitors.” He added: “At Emirates we believe that people, regardless of their backgrounds, have a strong desire to travel and experience the world for themselves. They want to be inspired, to discover, and to have fun. That is why we chose to use the Queen soundtrack, and a creative approach that was uplifting and energetic, to remind people of the excitement of travel.” The campaign will run in key markets around the world starting from 15 October. It was conceptualised and scripted in-house and shot by award winning director Vaughan Arnell. The “no-cuts” continuous camera transitions were supported by cutting-edge CGI (computer generated imagery) work from MPC in London, the studio responsible for the Oscar winning SFX (special effects) work for the Jungle Book.